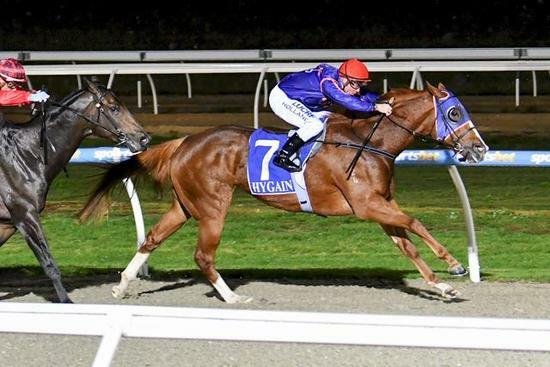 In a stellar 2018 prep of four runs for four placegettings, ONCE UPON A DREAM realised her potential with a solid win over 1100m, just shy of the Pakenham track record. A masterful ride by Dean Holland showed her the way in quite a hot field including three well-bred debutants. And in a first for the stable, two runners two winners today on two different tracks – nearly 300 km apart. For all her owners, this lovely chestnut 3YO truly is a dreamgirl.